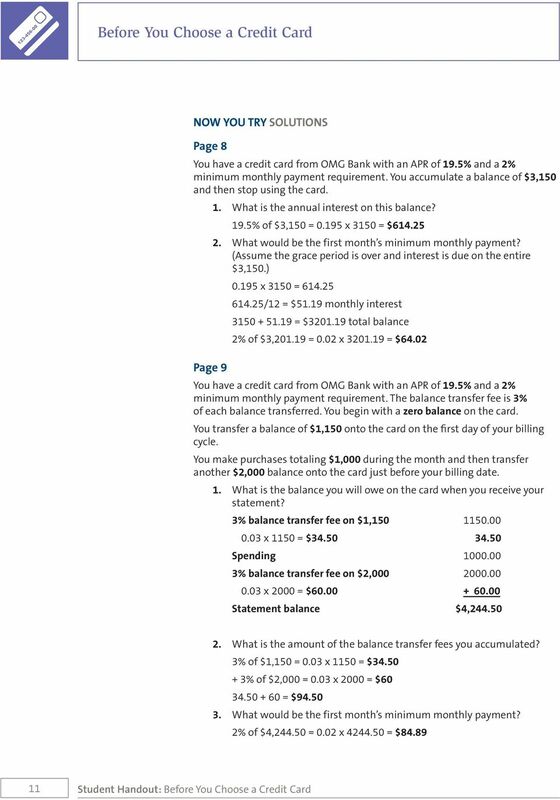 Download "Money Math for Teens. 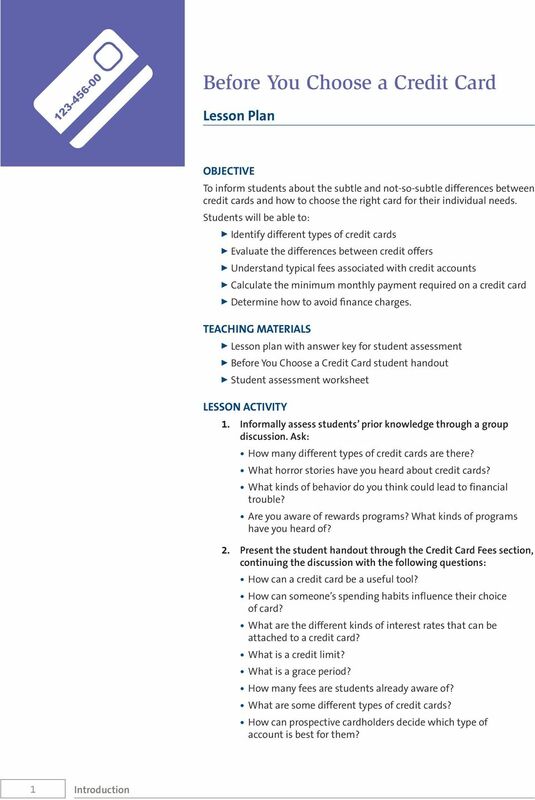 Before You Choose a Credit Card"
2 This Money Math for Teens lesson is part of a series created by Generation Money, a multimedia financial literacy initiative of the FINRA Investor Education Foundation, Channel One News and America Saves. Special thanks to Rudy Gawron for preparing the lesson and to Jill Sulam of Transformations Editing LLC for editorial guidance. 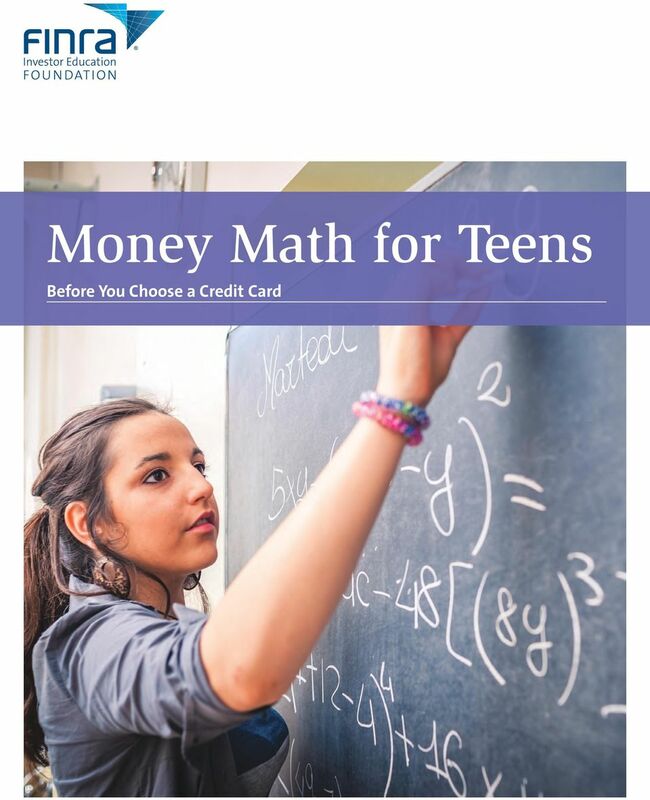 Money Math for Teens. 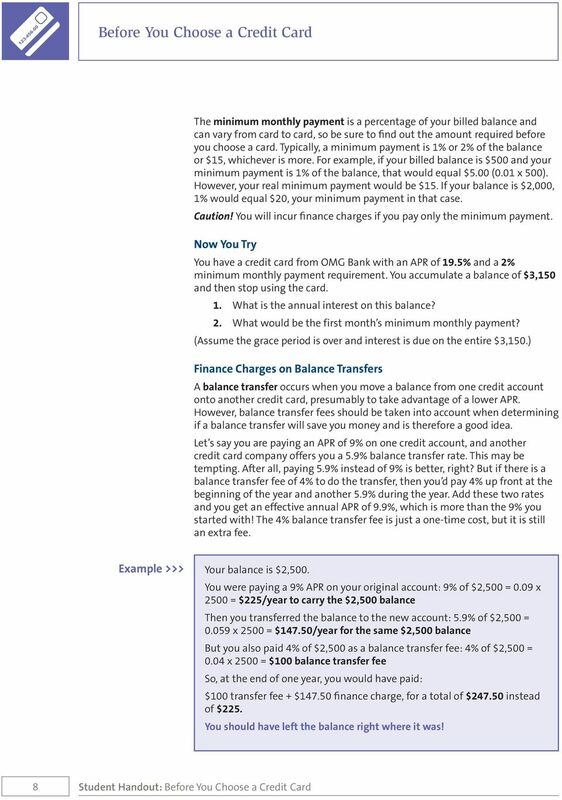 Copyright 2014 by the FINRA Investor Education Foundation or FINRA Foundation. Reproduction for nonprofit, educational purposes is permitted and encouraged. All rights reserved. 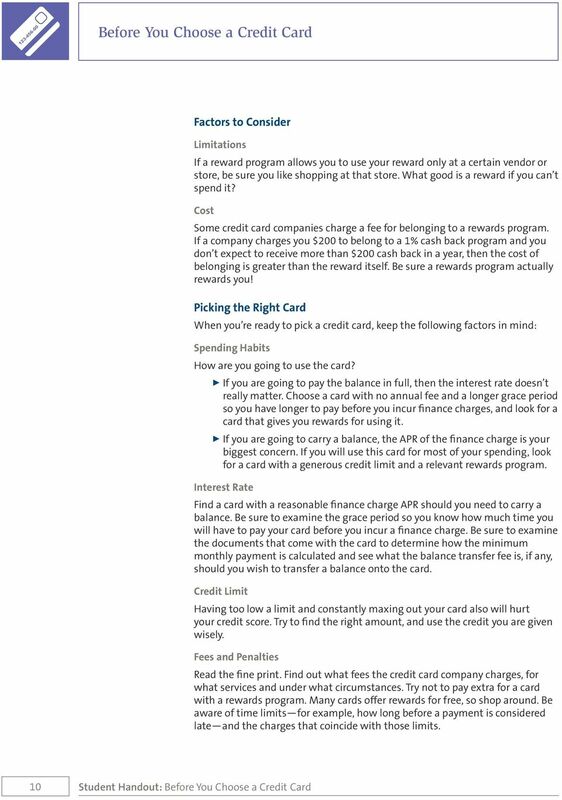 Revolving credit: A consumer line of credit that can be used up to a certain limit or paid down at any time. 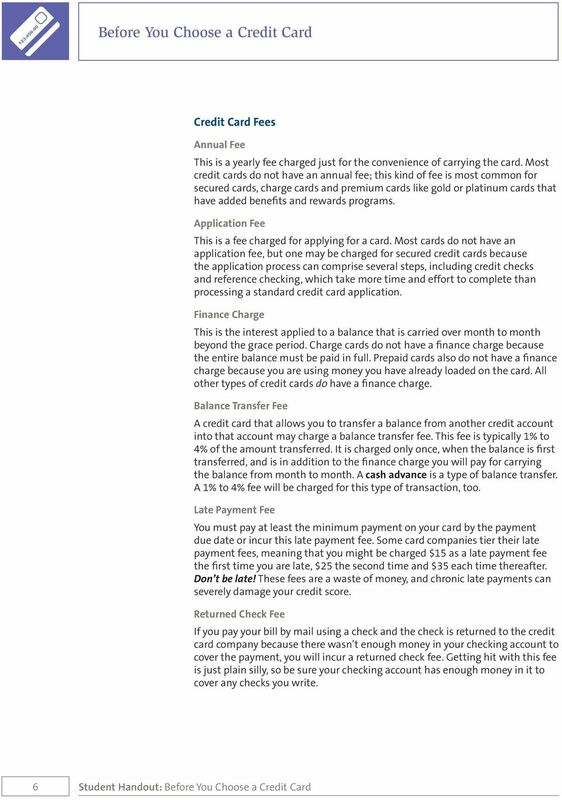 What are the risks of choosing and using credit cards? 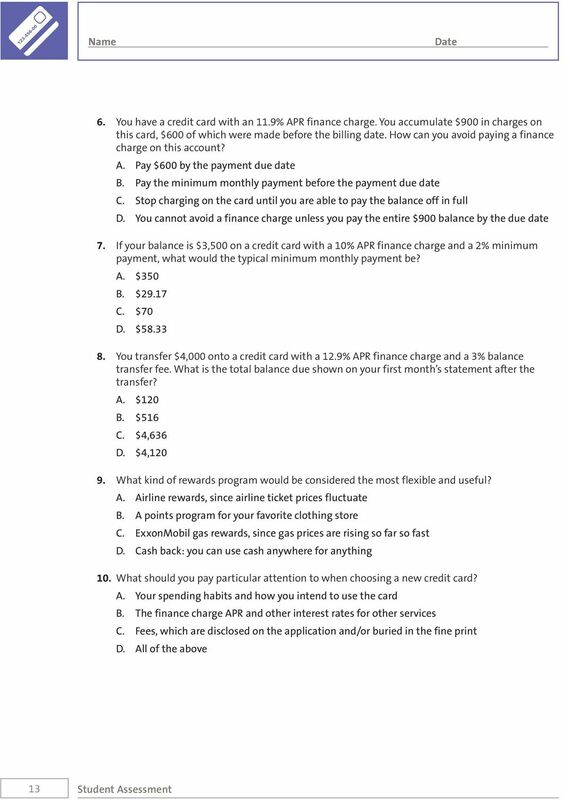 How will you use your credit card? What are the APRs? 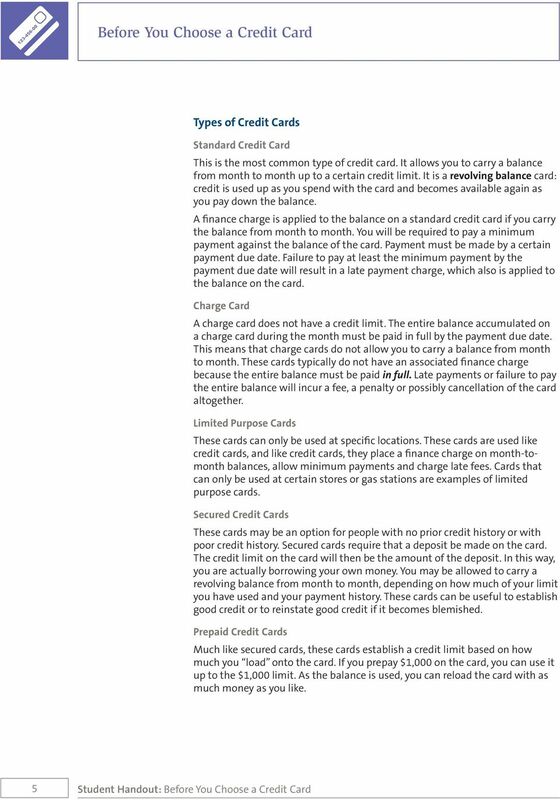 Prepaid Cards. An alternative to credit and debit cards. 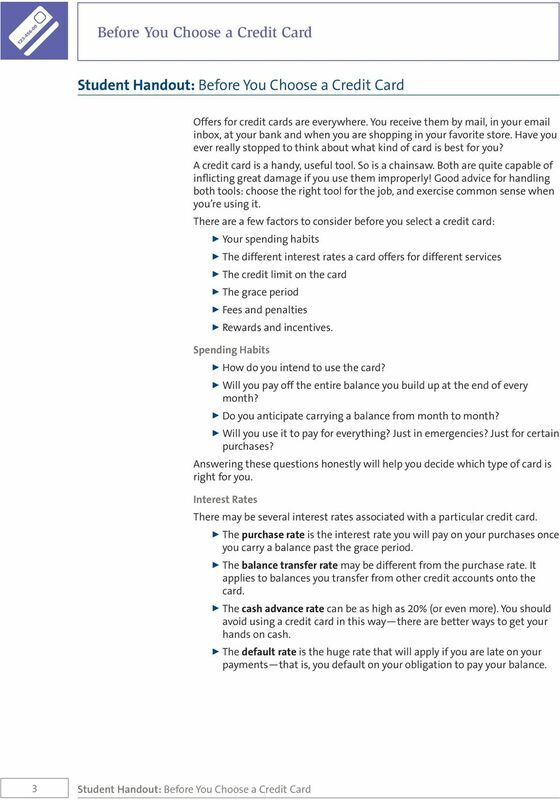 When choosing how to pay for their purchases, consumers have many options. 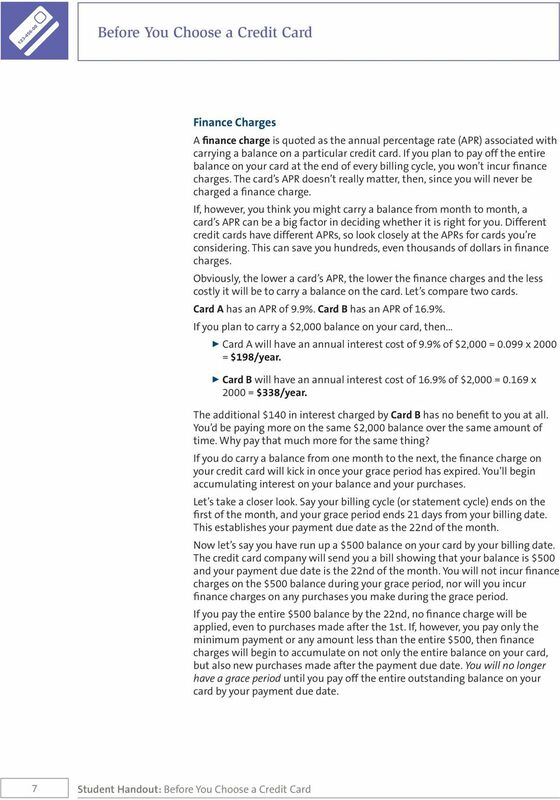 Good Credit Why is Having Good Credit Important? 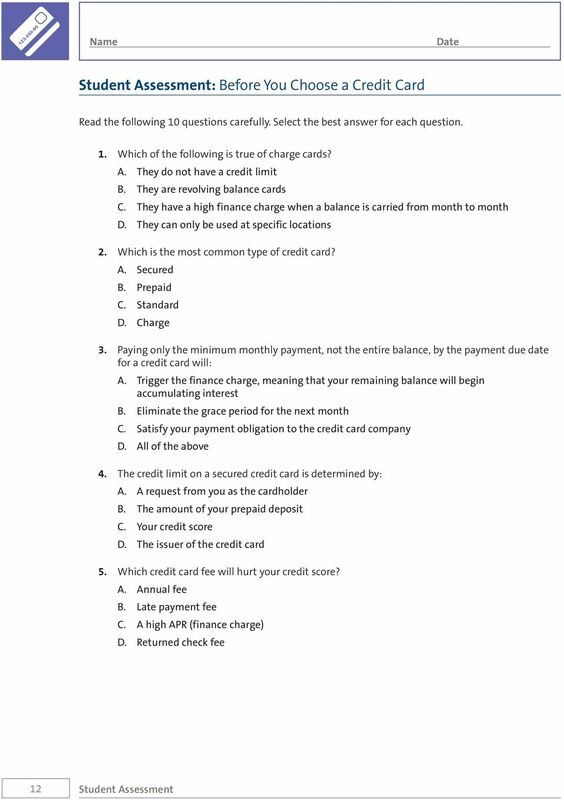 Credit Cards, Loans, and Debt 1 CREDIT CARDS, LOANS, AND DEBT PRE-READING QUESTIONS 1. Do you have any credit cards? Which ones? 2. 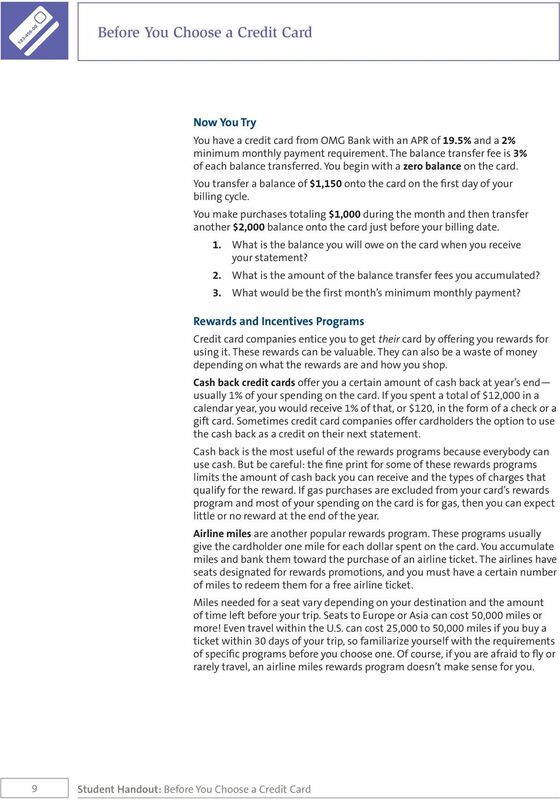 How often do you use your credit cards? What do you buy with them? 3. 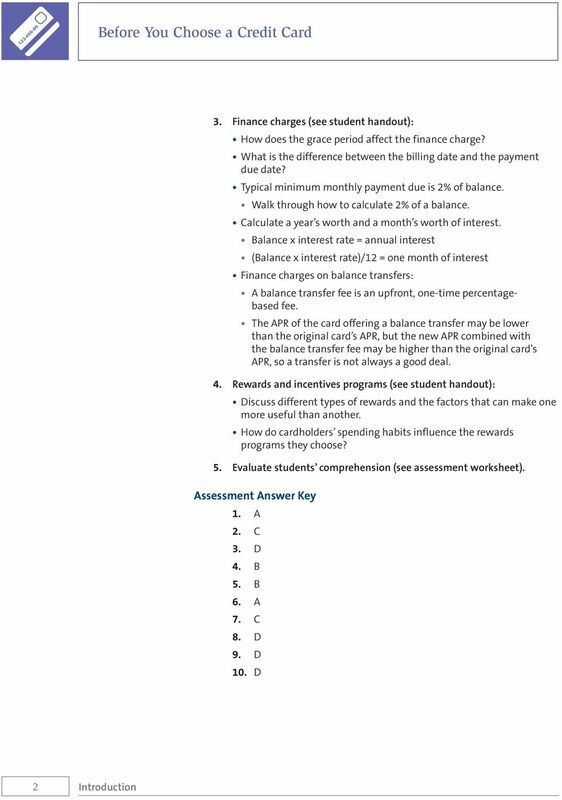 Exercise 4A: What Info Do You Need for a Loan? A Home Equity Loan: Is it right for you? 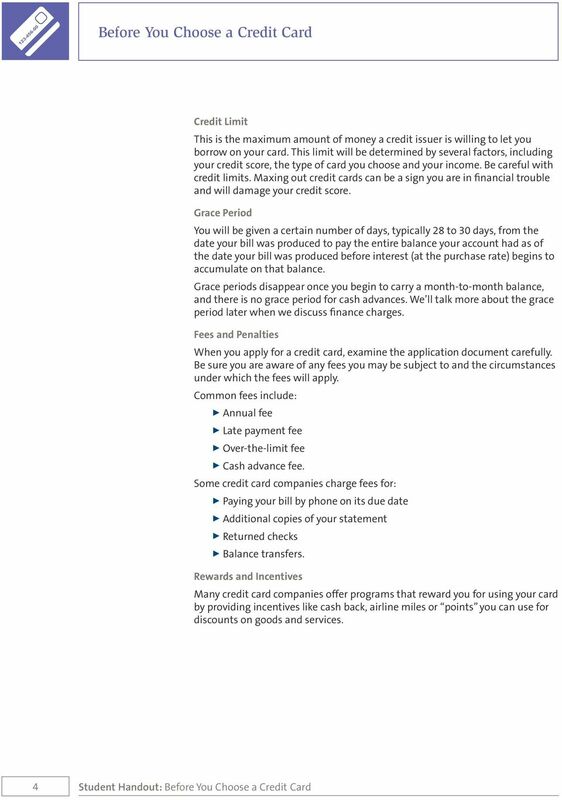 Using Credit to Your Advantage.